A fuel control system is almost always different from site to site and can be troublesome if not maintained properly. This system generally transfers fuel from a large remote storage tank to a smaller day/belly tank for a generator to run its cycle. With large fuel storage tanks located remotely from the generator belly/day tank, there has to be a way to transfer fuel safely, timely and efficiently so the generator doesn't run dry on fuel. 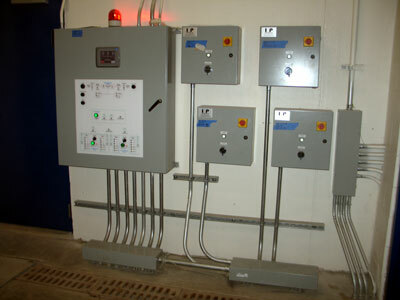 These systems typically include many and sometimes redundant control valves, alternating supply pumps, alternating return pumps, electronic gauging, critical-high, high, low and critical-low float switches, pump-on, pump-off switches, vent switches, flow switches and a host of varied other components to keep the systems operational. Do you have the qualified personnel available to maintain these systems? Do you have someone you can call that can be onsite in the event of an emergency? Have you heard the nightmare stories about local facilities that lost utility power only to have their back-up power fail? 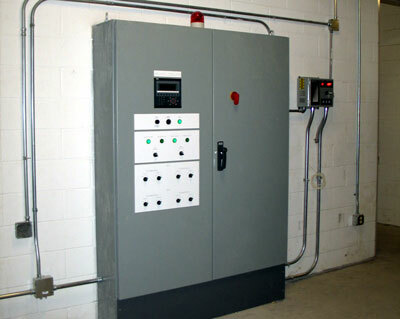 Do you want to be proactive and prevent your facility from an Emergency Power Failure? I'm sure we can help.